The ability to rapidly locate useful on-line services (e.g. software applications, software components), as opposed to simply useful documents, is becoming increasingly critical in many domains. Current service retrieval technology is, however, notoriously prone to low precision. 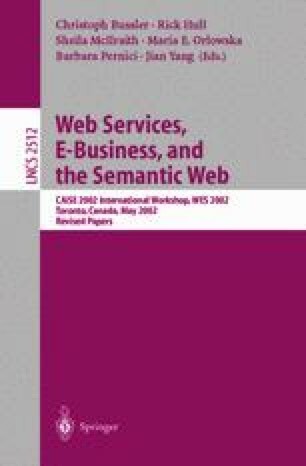 This paper describes a novel service retrieval approached based on the sophisticated use of process ontologies. Our preliminary evaluations suggest that this approach offers qualitatively higher retrieval precision than existing (keyword and table-based) approaches without sacrificing recall and computational tractability/scalability.